How to become a civilian pilot? Since your career goal is to become a professional pilot, it is recommended that you apply for a First-Class Medical before you start flight training to ensure that you meet the medical standards. You can earn your pilot certificates and ratings from various types of flight schools. The type of flight school you chose will depend on your aviation career goals and other factors that meet your individual needs. Steps 2 and 3 can be interchanged or combined. Major airlines prefer job applicants to have a four-year bachelor’s degree. It would be in your best interest to earn a bachelor's degree, since you will be competing against other applicants who will have either an Associate's, Bachelor's, and/or Advanced degrees. You can always apply for airline jobs without a degree, but your application may be overlooked or placed at the bottom of the pile. There major airline pilots without college degrees, but the overall percentage is low. Some students attend a 4-year college or university with a flight training program Students can earn their commercial pilot certificate, multi-engine and instrument ratings, and flight instructor certificate/ratings, and a bachelor's or associate's degree in the field of aviation/aerospace, or other career field upon completion of the program’s requirements. Note: You do not have to major in an aviation/aerospace program to become a professional airline pilot. 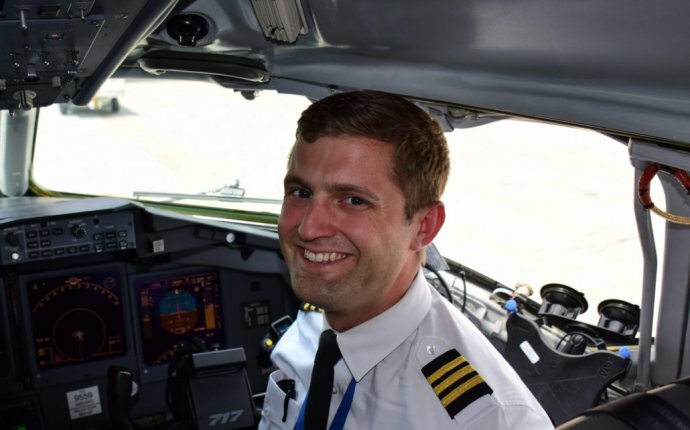 There are thousands of major airline pilots with college degrees in other career fields such as medicine, law, accounting, engineering, and more. Actually, it’s a good idea to have an educational background in another career field, just in case the aviation industry is in a slow down due to the economy, if you are grounded due to medical reasons, or other circumstances. Building flight time is a challenge for many pilots. The method in which you build flight time will be different than your fellow pilots. Many pilot hold several flying jobs to help them build the flight experiences required by the airlines and corporations. You should expect to spend four to six years building the required flight hours and experience to qualify for a position at a major airline or large corporation. Most pilots flying for major airlines have thousands of flight hours. There are various ways to build flight time. Visit How to Build Flight Time section to learn about various time building ideas. Many pilots earn their flight instructor certificate and ratings (i.e. CFI, CFII, and/or MEI) to teach others how to fly, earn money, and build flight time. Flight instructing is the most common, easiest, and cheapest method to build flight time. Flight instructors typically teach at a flight school for two-three years until they’ve logged between 750 – 1200 hours of total flight time (time frame is dependent on the flight school and geographic location). Flight instructors earn approximately $10 an hour for each ground and flight lesson with a student. If your students cancel a lesson, you don’t get paid. Some flight schools pay their instructors a minimum amount per week or place them on a salary. Some pilots fly for small cargo and charter companies that have various multi-engine airplanes in order to build multi-engine flight time (multi-time). Building multi-time may be one of your biggest challenges. Once you find a job flying a multi-engine airplane, it may take several months to build between 200 – 500 hours of multi-time. After building approximately 1200 – 1500 hours of total flight time, which includes 200 – 500 hours of multi-time, most pilots apply to the regional airlines to start building Part 121 experience and ultimately multi-engine turbine time as Pilot-in-Command (Captain). Many pilots use the regional airlines as a “stepping stone” to accumulate the necessary flight hours and experience to apply to the major airlines. Regional airlines fly short/mid-range routes to small/mid-sized cities to transport passengers to the major cities for the major airlines to continue their trip. They operate various airplanes ranging from turboprop to small jet airplanes such as the Jetstream 32 and 41, Beech 1900, Saab 340, ATR, Dash-8, Regional Jet, and others. These airplanes carry between 19 and 70 passengers. There are numerous regional airlines throughout the United States and Canada, visit the Airlines Address Directory for a list of regional airlines. Regional airline pilots generally fly as a First Officer (FO) for one to three years (note: upgrade time varies for each airline), and then upgrade to Captain according to seniority. Upgrading to Captain allows you to start building the important Part 121 turbine, pilot-in-command (PIC) time. After building approximately 1000 – 1500 hours of PIC time (which takes roughly 1½ – 2 years), most pilots have built the necessary total flight time and PIC time to meet the major airlines minimum hiring requirements to be considered for an interview. Most major airlines look favorably upon regional airline pilots whose flight experience consist of flying under FAR Part 121, turbine powered airplanes, modern equipment and avionics into high traffic airports. Note: Some students that attend a flight school that has formed partnerships with various regional airlines can bypass Phases 1 and/or 2, and proceed directly to Phase 3 upon completion of the school’s flight training program or college graduation. Working for a regional airline directly after graduating from school or earning all your pilot certificates and ratings will save you a lot of time (years). Flying for a regional airline and upgrading to Captain will help you meet the major airlines’ minimum hiring requirements.